It is the third Sunday in Advent. Gearing up for Christmas. 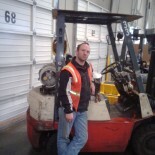 Time to hop off the forklift and change focus again. Then again, its the holidays, it’s time for fun. However, not just fun, also all of our favorite traditions. Yes, we are looking at traditions. Some are fun. Some are practical. Some simply serve no purpose and nobody even knows why we do this anymore. How is that? Simple, let me explain. Around this time of year, there is a popular story that circulates about the internet. It is the story about cutting the ends off of the Christmas ham. Now the story begins one of two ways, either its a little girl or a young woman. Either way, the question comes up about why are the ends of the ham being cut off. If the story involves the little girl, the mother complains that it was how her mother did it and it should be questioned. If the young woman, her mother explains how it was what her mother did. Now then, either way, we end up with the woman whom the tradition begins with. Her explanation is quite simple. She cut the ends of the ham off simply because it was too big for the pan. In our church, we celebrate a wonderful tradition called “Advent”. This season marks the beginning of the church, four weeks prior to Christmas, and thus the commemorate the coming of Christ Jesus as an infant, and also help to bring us to mind of his future return as the King of Kings. During this season, we light a candle each week to commemorate each Sunday of Advent. Also, selected scripture lessons are read highlighting the birth of Christ Jesus. That is to say, we read of his nativity. This brings us to a common tradition that I have previously written on, and is a personal peeve of mine. As I have previously written on this, I will not spend much time here. 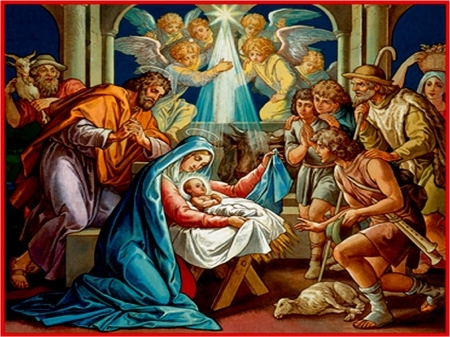 However, I am persuaded based upon scripture and archaeology that the popular nativity scene in a stable is inaccurate, reflecting an indo-european mindset, and not that of one who lived in the region. Even the original Greek testifies against the popular nativity scene. However, such is audaphoria. Another more common tradition is that of the Lord’s Supper, or Holy Communion. This tradition has a rich support from scripture, as it is part of the Gospel. However, there is a problem. Some church organizations do wrong. Wait! What? How do you get communion wrong? Well, you can ask Jack Chick about his “magic cookie” tract. He quickly attempts to dismiss the plain teaching of Jesus in the Last Supper, regarding the bread and wine being his body and blood. Also, many churches have a huge tradition regarding baptism. In particular, they reject infant baptism, citing the “age of accountability” as why the will not baptize an infant. Additionally, they will attempt to argue that the proper form of baptism is immersion and its found in Acts 2:38. Not only are they willfully ignoring Acts 2:39, but they are actually lying. Yes, churches sometimes lie. All Acts 2:38 says is “repent and be baptized”. Nowhere does it say to be immersed. Again, like with the traditional nativity scene, the Greek testifies against it. Also, there is not a single pastor alive who can give a solid time frame for this “age of accountability”. Indeed, it is quite possible to gather several pastors together and not get a single agreement regarding this doctrine, for which there is no biblical support. Then there is Santa Claus. I would be very impressed to meet somebody who has not heard of the fat guy who slides down chimney bringing presents. This has been the subject of many movies over the decades. Yet, the tradition of the fat guy has little support from history or scripture. In fact, Santa Claus is non-existent in scripture, but that should be no surprise. As for history, his existence is considerable different. He is not a fact guy in a red suit. Nope. He is a Christian bishop who suffered persecution under Rome, and is famously noted for sucker punching a heretic. A video is provided below regarding the real Saint Nick. Traditions, they can be fun. However, they can also bring lies and false hope. As we enter this third Sunday in Advent, let us look to the truth. If a tradition does not point to the truth, let us reject it. If a church does not understand the meaning of the tradition of the Lord’s Supper, flee from it. The only true hope, which even the venerable Saint Nick would agree, is in Christ Jesus. In Bethlehem, God provided the gift of Christ Jesus, who would die for our sins. Let us acknowledge and thank the Lord our God for this precious gift, even as we celebrate this season with our many traditions. This entry was posted on 14/12/2014 by Christopher Rose in Uncategorized and tagged Advent, Christ Jesus, Christmas, King of Kings, lying in church, Nativity, Saint Nick, Santa Claus, Small Catechism, tradition.